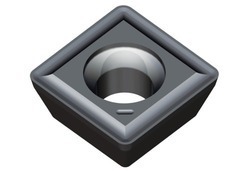 We are a leading Manufacturer of solid carbide square end mill, spmg u drill insert, 65 hrc miniature size solid carbide endmill, precision modular vice 0-300mm, solid carbide thread mill and carbide end mill for composite material from Ahmedabad, India. Since our commencement, our firm is engaged to introduce a premium quality array of High Performance Solid Carbide End Mills. These mills are manufactured under the various guidelines of industry standards. After production, the offered mills are quality tested on various scale such as tensile strength, largeness, lengths, thickness, and joints. Also, clients can provide custom specification for the mills. In addition, the mills are manufactured using approved steel alloy. Quantity: 1pc Features:- Durable and practical.- Highest harness could reach HRC65 for general steel alloy steel mold steel.- Two flutes design provides small chip loads and quicker removal.- Round nose design, negative angle design, higher precision.- Suitable for DIY, Home and General Building / Engineering Using. Modular Vice designed for precision milling, grinding and widely used with CNC and standard milling machines. Both jaws plates are in pull down angle, this ensure, during the clamping operation a down load run of the work piece against the vice base and thus a precise and safely clamping. 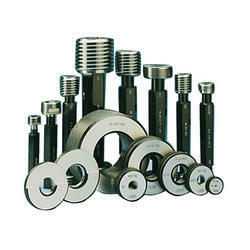 The space saving design and solid construction allow a maximum blocking ratio to total pverall dimension of the vice. For extra tapped hole with ground back jaw rear face increase maximum opening capacity with the addition of jaws extensions. High alloyed quality resistance steel, case hardened HRC 60±2 is used in all body and accessories of vice to give maximum rigidity, high performance & no wear. We are offering Carbide Thread Mill to the clients. This product is made by skilled professionals at vendor’s end by utilizing superior grade material and innovative technology. The offered range is well tested under the expert guidance of our professionals before the final deliuvery in the market. 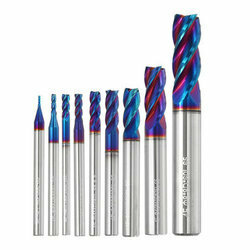 We offer Carbide Endmill for Cutting Composite Material for get high performance. 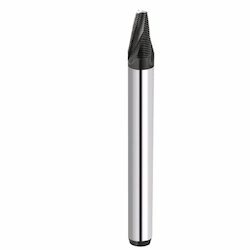 With the use of 5 axis CNC tool & cutter grinder – ANCA machine, we can offer straight shank solid carbide reamers to very close tolerances. 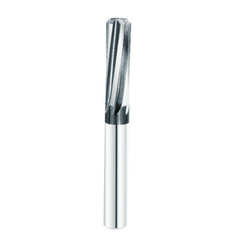 We also offer taper shank lugged carbide reamers on customer’s request. Precise size & close tolerance. Axis zero setter is used on CNC-Milling and Machining centers (VMC & HMC) to set the tool distance in refrence to the machine table or the workpiece surface.Large setting surface of spring loaded plunger makes the tool setting convenient.Easy to be set by a ground parallel.Made out of hardened and tempered steel.Magnetic model is for horizontally spindle machine. The tool Presetter can be hold horizontal with the help of magnet fitted in back.Tool setting time is reduced to bare minimum & without scratching the job.This is provided with or Without dial guage. * Setting tool length on CNC Milling and Lathe Machines. * Setting height: 50 ± 0.005mm. * Large measuring surface and easily operated. * Low spring force to avoid breakage of small endmill or drill. * Easily calibrated by ground parallel or gauge blocks. Side Lock Adaptor, Collet Cuck Holder,Face mill arbour,Boring Bar,Machine Tool Adaptor,Baby Collet Chuck,Collet, Machine accessories etc. Max. Clamping Pressure : 2500kg. 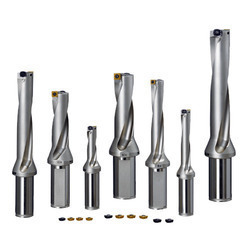 We bring forth for our esteemed clients a superior quality range of U Drills as per their specific requirements. 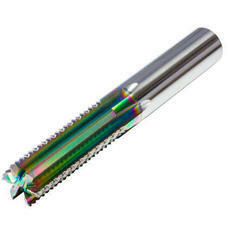 The U Drills offered by us are manufactured using high-grade raw material and advanced facilities, at the vendors’ end. 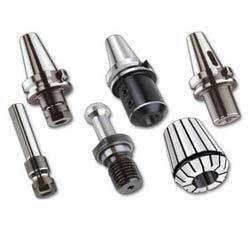 Moreover, we make sure to offer U Drills to the esteemed customers at industry leading prices. Flute is helical type and used for ss grade and titanium grade material with coating. manufactured in above said dia range. Special Purpose Gauges Squareness, Concentricity, depth checking, flush pin Gauges & as per drawing Gauges can be manufactured in above said dia. range. We offer our clients an exclusive range of Thread Ring Gauge. This product is manufactured out of fine class raw materials to ensure the quality performance of the products and long life function. Thread ring gauges are available in different diameter range and thread, taper or plain forms and can be supplied to the clients as per their predefined specifications.